John was born on 8 JUN 1791 in Georgia, the son of unknown parents. 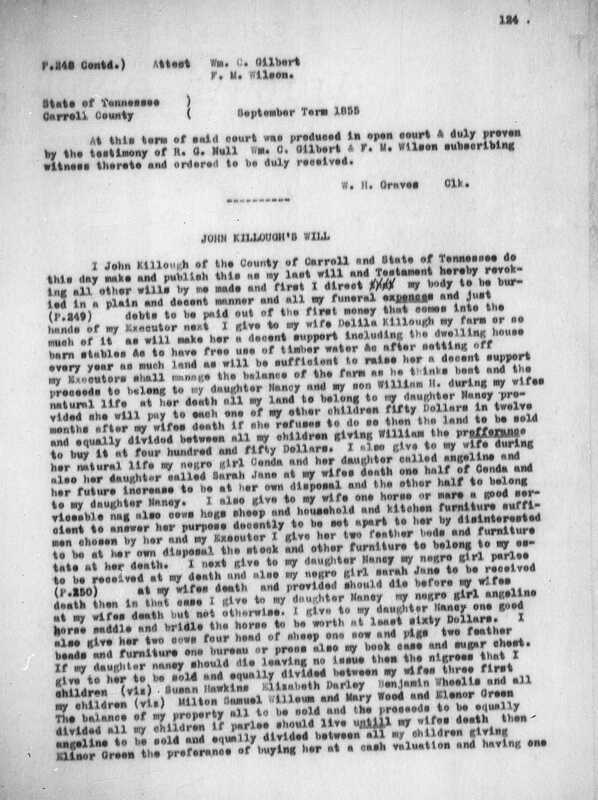 He died on 17 SEP 1855 in Carroll County, Tennessee. 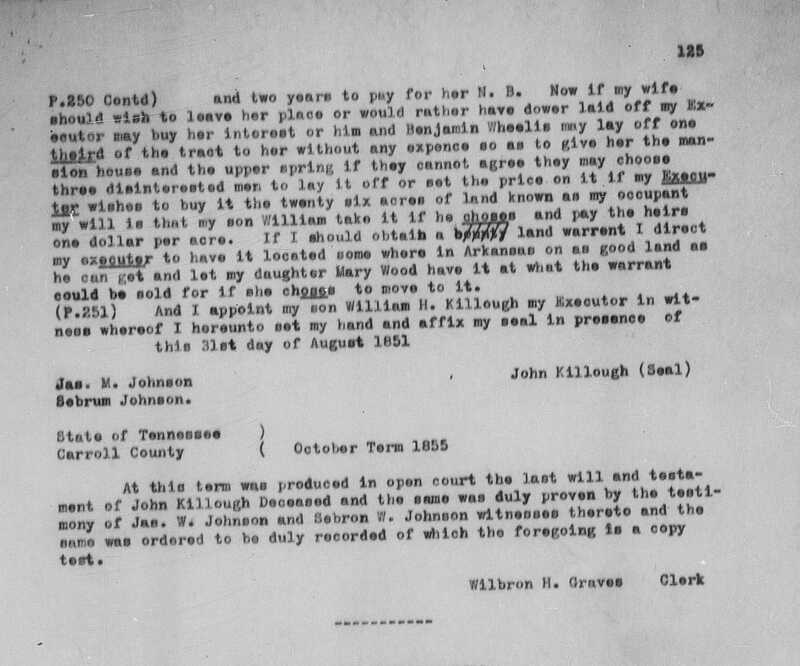 His wife was Mary Woods, who he married on 8 MAR 1825 in Carroll County, Tennessee. Their four known children were Milton A. (1818-1897), Eleanor J (1827-1868), William H (1829-1891) and Nancy A (c1832-1891). 1st - Eleanor Kirk in 1816; she died in 1822 - Children: Mary, Milton A., John G. and Samuel D. Killough. 2nd - Mary Polly Woods in 1823; she died - Children: Eleanor, William H. and Nancy.